The Catalyst “Sizzle” – Why is Catalyst such a great platform? A customer’s system with exactly the same rules can be presented as a Windows application, a browser based application or a mobile application for Android or Apple mobile operating systems without changing the system at all. This also applies to new technologies and languages. The Catalyst BSE technology will NEVER become obsolete. ViaData can create new presentation implementations with NO impact on the business rules in the system. The above is possible because the technology and business rules within Catalyst are kept completely separate in all areas of the system (both back end and front end). It is interesting to note that many systems and architectures claim to separate business rules and presentation BUT business logic is usually built into both, for example the presentation layer includes screen layouts and screen level validations. Within Catalyst the presentation layer is 100% business agnostic and doesn’t know anything about the business it is serving. This is because the links between the two layers are held in data in a simple data structure. Your business will never outgrow Catalyst, which means that you can safely rely on Catalyst to power your company for many, many years to come, with no need to spend money on another system at a later stage. Catalyst systems are completely scalable and can handle business data from a small business to very large enterprises. Catalyst users become productive on the system very quickly, thereby enabling the business to earn a return on investment at a very early stage of system implementation. The Catalyst system is quick to learn and easy to teach and train on for users, and the Interface design is simple and consistent across the entire system. The interface design includes the standard placement of objects across the entire system, along with the standard use of options and controls and shortcuts for most functionality. Using the Catalyst Grid, users can mine for data very easily and efficiently, drastically reducing time to get meaningful business results. The Catalyst Grid is amazing! It’s used everywhere to display rows of data, it’s flexible, dynamic and configurable, and provides powerful sorting, filtering, printing and exporting features. Your business will benefit from Catalyst’s extremely short development time in that users will be able to use the system and produce meaningful business results shortly after the system is introduced. There is no extended wait for the system to go live, thereby saving time and money. Catalyst development time is very short, in that the prototype ‘becomes’ the system and is not thrown away when the actual system is written, unlike other software system development. A User that has used any Catalyst-based system will easily take to any other Catalyst system or new functionality within an existing system, covering a different aspect of the business. This reduces training time and money. The Catalyst development environment is tightly controlled and standardised, and includes version controls, naming conventions and change control. This means that all changes connected to a user request are logged and authorised by the system. Clients always have the latest Catalyst system with the latest enhancements, including those requested by other clients, so there is a shared benefit for all. Catalyst systems are modernised and improved continuously (without clients explicitly requesting these changes). This includes screen layouts and new features such as exporting grids to Excel, scheduled emailed reports and emailed reports (instead of printed versions). The Catalyst system never lags behind the business – development and enhancements are a phone call away, and enhancements are also added as a result of other developments. This means that users are always working on the latest, fully integrated system. The Catalyst business system is built at the pace required by the business and it all integrates perfectly. Every year, the Department of Information Systems at the University of Cape Town holds a Systems Project Expo to showcase their third year and fourth year Systems Development group projects. This varied selection of advanced systems is designed to industry conditions and tackle actual business issues. The 3rd year shield and top group has been proudly sponsored by ViaData for the last 23 years. ViaData is involved with the UCT Information Systems Expo because it re-establishes our connection with some of the very bright minds being developed at UCT. We also want to recognise the effort put in by the students and we get to see some of the great concepts being prototyped and developed by students. Mark Fairweather, CEO of Open Box Software www.openboxsoftware.com gave the keynote address. He focussed on the achievements of previous graduates of UCT’s IS Program (he being one) and some key guidelines for students, including find your passion, put in your time (remember the 10,000 hours ‘rule’ of Malcolm Gladwell) and go out and make a difference. When asked what he believes in, President Obama’s answer was ‘I believe in fact, and I believe in reason’ – a sound basis for decision-making going forward. When asked how he changes the world – Obama’s (paraphrased) response was “societies (and the world) cannot be turned 90 degrees, the course needs to be changed one degree at a time. So to change the world all I do is to set out every day to make small changes that will leave society (and the world) better than before the change”. 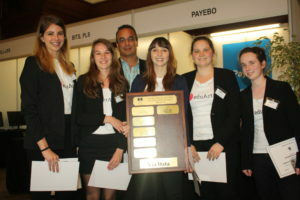 Above: ViaData MD Craig Byren with the winning 3rd year team. Finally, Head of Department, Associate Professor Kevin Johnston, closed the evening with some final words of insight for the students in an ardent speech – focussing on two fundamental thoughts and how these relate to the year that passed at UCT and the choices that face students going forward. He highlighted that we all have the right to know AND the power to choose. The common themes of the evening were: Information is critical to making any decisions (personal, business and political); There is no substitute for hard work; We ALL have the power to make a difference, but we have to choose to make that difference. During the course of the evening, the students were also given time to share their views on the past year, and their comments reminded everyone how great student life is. Users asked us to create an export functionality for grids to be exported to Excel. We felt this was an important part of our continuous improvement program for both our Web clients and our Windows clients and so we put our heads together to solve the problem. Our grids of information have many formatting characteristics hidden in them, such as column width data, formatting and alignment. In our Windows version of Catalyst we made use of a purchased grid component that supported all this formatting, however, for our Web version we had to write the support ourselves. However, when exported to Excel all formatting was dropped for both the Windows and Web versions of Catalyst. We wanted the Excel exports to look exactly like the grids in Catalyst. We felt that this was a necessary improvement to the Catalyst system that would delight our users. When we started to re-look at the problem, we realised that we could re-use all the Web drawing code and get perfect results of the web grid in Excel. We tweaked the code slightly so that it would present an exported Excel spreadsheet instead of a grid and we were good to go, with all our formatting and code in place. Our users were delighted at the new improved export functionality, but unfortunately our non-web users were feeling left out of all the fun. We then integrated the export process we had developed for our web users into the Windows application so that any grid can be exported to Excel exactly as it looks on screen, with all the colour and formatting in place – and immediate win with our expanding user base. Our users were so enamoured with the new reporting functionality that we found that users were regularly running weekly reports for their non-Catalyst superiors and co-workers in the form of Management Summaries. We were asked by one of our clients to support this weekly creation and distribution of these reports and after two weeks of manual labour another Catalyst improvement was conceived. We added some scheduling functionality to program the creation and distribution of any Excel report on a periodic basis for the benefit of our users. This last improvement was created using all the functionality we had created before and taken from an idea to completion in just 4 hours. In our effort at continuous self-improvement and continuously delighting our users, we had added an Excel export functionality to our web version on Catalyst, transferred that same functionality to our general user population, and added scheduled printing of management summaries for our users – a real case of Improving Every Day. A job well done! At ViaData we use our own, purpose built, ‘Business Systems Engine’, Catalyst, as the foundation for all our custom software development. One of the strengths of Catalyst is the shared benefit we are able to pass on to all our clients, whenever we build new ‘general’ functionality in Catalyst or add new features to the base application. The default functionality for modifying a record in Catalyst is to run the Modify Method (double click the row in a grid) which opens a maintenance Screen for that record. Catalyst already has the functionality built in to select multiple records in a grid and modify them all together, displaying a list on the left hand side of the maintenance screen of all the records selected. This then allows the user to navigate up and down the list of items on the left, to modify them via the panel on the Right Hand Side. We wanted to improve this functionality to open with the multiple selection predefined by the developer. 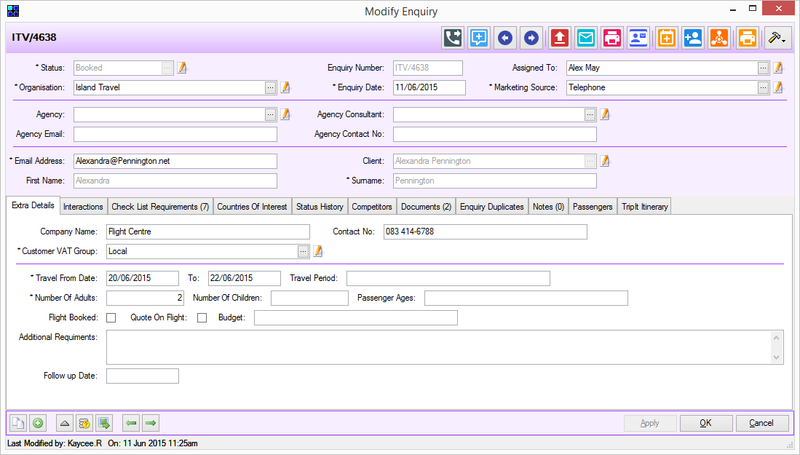 This requirement was specifically for our Travel CRM and Booking system, “Travelyst”, where we wanted to allow the user to double-click on a Quote Line, opening all lines on the Quote in the ‘Batch Modify’ mode, with the line that was clicked on selected on opening of the maintenance screen. As the architecture of the Catalyst Windows client was structured in a sound way, we were able to easily improve the existing code to allow an additional attribute to be added to the code that executes a ‘Custom Modify’ Task in Catalyst – this new attribute defining which records should be selected when the Task was executed. 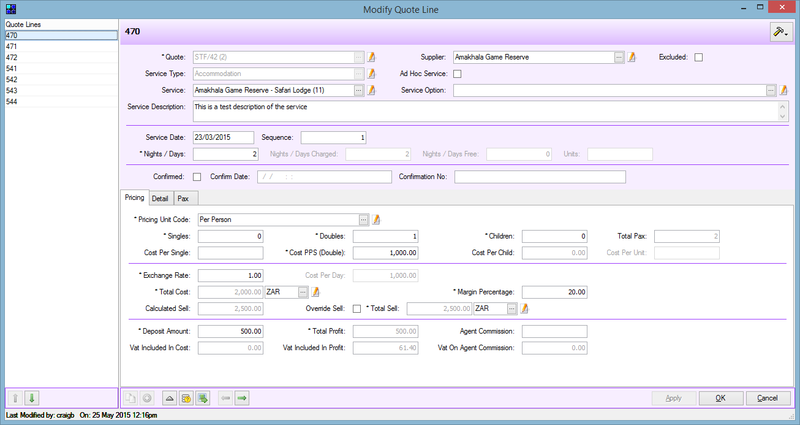 Now we are able to add a Custom task to the Quote lines on a Quote in Travelyst, which we set as the default Task on a Quoteline, causing it to run when the line is double clicked. 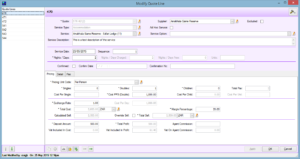 The existing ‘single record’ Modify is still available on a right click. The effort required to develop this enhancement was just a few hours, a major improvement on other software houses’ development times. 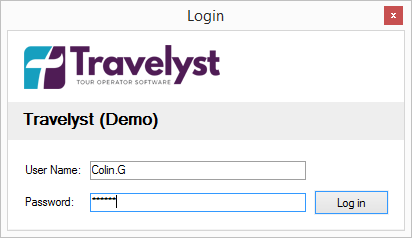 The new functionality added to support a specific requirement in Travelyst was added to the generic functionality of Catalyst and is now available to easily be used by existing or future Catalyst based systems. A system improvement that is free of charge. This multiplication effect is one of the key value improvements passed on to all of our clients when we develop software using Catalyst BSE. Improvements such as this one are included in the hosting and license fees of Catalyst systems. This means that our clients benefit from development that is done on projects other than their own at no cost to themselves. We had a problem where user manuals were taking a colossal amount of time and effort to create and write, especially if they included screenshots (which we had to mark-up). This way of doing things required someone who had an excellent grasp of English and who also understood the inner workings of the system very well. They had to be able to describe precisely what was required to perform a series of steps when executing a business function or action. These manuals took a lot of time to produce, and they tended to get left gathering dust and were rarely read by the customer, particularly if they were in printed form. They also got out of sync with the system quickly and refreshing them with up-to-date screen shots was laborious and infrequently done. We knew this was a problem that had to be addressed and so we started looking for a solution that required minimum effort and time from the staff, particularly the system architect and programmers. We also required that the training material be easily available, viewable and comprehensible. Lastly, the new methodology had to be able to show off any system competencies in an exciting and entertaining manner. After some round table discussions, we decided to go with a video tutorial solution. We felt that this would be the perfect way to improve our training methodology and make it stimulating at the same time. With our new methodology, our business analyst (BA) decides on the title and business function to be depicted on the video. The BA then writes a brief overview explaining what the function does, why it is required and any other pertinent data. Notes are written in point form on the steps required, without explaining where things are located or what their icons or buttons look like, but instead giving those names. A screen recording tool (we use Camtasia) is then used to record the steps to perform the depicted function. The BA then sends the screen capture, introduction and step notes to the video editor (we use an outside consultant to do this). The Video Editor (VE) cleans up the video, removing time delays, jerkiness and odd mouse movements. The VE highlights relevant portions of the screen at the correct time and adds the script to the video. The VE also adds an introduction and title page and an outro (a standardised ViaData ending) to the video and sends the video back to the Business Analyst for final review and publishing. The videos are a great improvement on the old printed training material, and are eminently watchable, simple and easy to produce. Time spent on producing training material is greatly reduced, a great improvement for a busy team. The training video highlights a system’s capabilities very efficiently, a great improvement over the previous methodology. The user’s time spent on understanding a function is greatly shortened and improved. A recent system delivered to 2500 users was installed with an email providing the link to the URL containing 8 training videos. (No other training material was required on rollout). Once again, ViaData was able to take a business process and improve it for the benefit of its users and for greater productivity. Why not give us a call the next time you need an improvement in your business processes? The system provides a mechanism for travel consultants to build a detailed travel itinerary for customers. 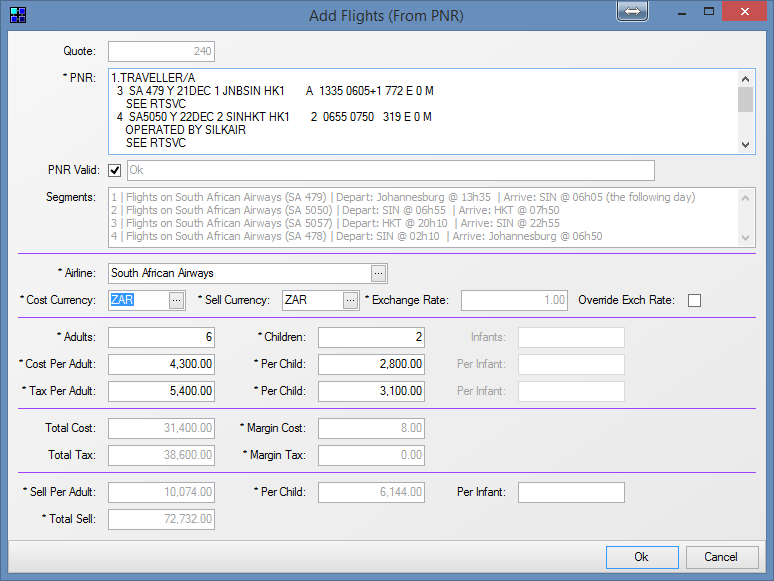 It supports a fairly generic processing of lines on the travel itinerary (accommodation, flights, transfers etc. ), so each segment of the itinerary is added individually. Flights are added as an ad-hoc service as there is no standard pricing and the consultants capture the descriptions manually, for example “Flights on EY (EY 430) | Depart: Abu Dhabi @ 09h00 | Arrive: HKT @ 18h40”. They then capture these details again into Travelyst, manually building the description. One of our Tour Operators was finding that their consultants were constrained by how many enquiries they could handle per day as the manual capture / re-capture process was too tedious. A thorough solution would be to engage with the GDS supplier (Amadeus or Galileo) and work out a way to import the PNR document directly into Travelyst – but this method can be cumbersome and take months to deliver. We wanted to improve Travelyst and the time it took to implement the solution in a big way. 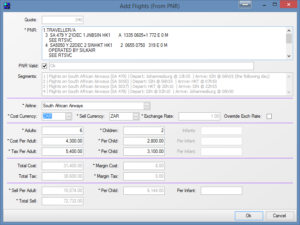 This issue was raised in May of 2015 when the client asked for a way to speed up the capture of the flight segments. We looked at the requirement, and the format of the PNR, thought a little bit out of the box and settled on the Consultant copying the PNR to the Clipboard and then pasting it into Travelyst. The system then validates the PNR, splits up the lines and uses Airline and Airport codes to create meaningful descriptions, and adds all the necessary lines to the itinerary. “Wow!! The flights add on is absolutely magic!! And going to make a massive difference, really outstanding, thank you so very much! We were finding that days would go by and we wouldn’t move forward with critical work items on our plate and the common response was “where did the day go”. We were all starting to feel frustrated! As a company or as individuals, we were not improving on this front. In fact, it was impeding our progress and we couldn’t allow that to happen. After giving the problem some thought during a team meeting in April 2015, we decided to implement a three hour “Quiet Time” each morning from 08H30 until 12H30 in order to improve our work quality, output and time management. Before Quiet Time, each person needs to be 100% sure they know exactly what they will do and achieve during the Quiet Time and ask questions if they are not sure. Assign one person per day to answer and filter incoming calls. Work “head-down” for 3 hours. At the end – take stock of what has been achieved and record the time. Efficient, dedicated help on intricate issues. Practical, dedicated, focussed, distraction free activity in the office. In fact, Quiet Time has worked so well, that we are considering further improvement by implementing a second dedicated Quiet Time period in the afternoon that will ensure that our very best client dedicated effort is being implemented for the vast majority of the day. The middle and late afternoon periods of the work day will be used for personal time, catching up on phone calls, work breaks and lunch. If you have an idea that will help improve work output, please write about it in the comments section! We adopted the building of Catalyst, our flagship product, into the way we have always thought internally, which was that with each release we should strive to make it better technically and more user friendly. We have been through more than 800 releases of Catalyst, with each one improving on the previous version. Sometimes new features, sometimes bug fixes, sometimes improving performance and sometimes design and presentation changes, but every time the new version was better than the last. We follow an Agile methodology with the systems we build, giving the customers something of value and usable very quickly – and then improving it every day – little by little. We continually tweak and enhance our own internal management and development procedures. When a person solves a problem in a new way – we share the lessons and try to understand where else they can be applied. We read and review work done by others – to see what lessons we can extract and how we can apply this. Once we realised that we had a common reason for improving our lives, we felt we needed a catalyst to put down our thoughts and ideas so that we could improve as a community and draw upon each others energy and inspiration to actually drive improvement by thinking about it and encouraging ourselves to write about it frequently.We would have a common point for the collection of ideas, thoughts and epiphanies that would draw us together as a team and help to draw us to even greater heights. An improvement incubator if you will. Not only that, we wanted a common information resource that would draw us at least once every few days to have a look to see if something new had been discovered so that we could add the inspiration to our own quiver of tools and mindsets and discuss them around the lunch table or at coffee breaks. A trigger that would spark off new ideas, dialogue and inspiration. The common driver was improving. For ourselves as people and as career professionals who wish to add value to everything we touch, every day. We want to look back at the end of each day and say that we have improved in some aspect of our lives and work, be it better coding, communication, service or family time. The key here is that improvement by itself is a nebulous entity, and so it has to be measured over specific time periods and in various key areas of responsibility, including an “out-of-the box” area as well. We chose every day as we have a daily commitment to our families, ourselves and our work. This measurement time-frame would also ensure an alertness in our improvement strategy as there would be no way to take time off and pretend to be adhering to the common thread of improving every day. Peer review would ensure that everyone was keeping pace with improving every day. So often corporates come up with great strategies to inspire staff, but they fall flat because there is a lack of consistent, constant checking to see that the corporate’s core values are being adhered to. There also needs to be time-framed indaba’s to collate and review the relevant progress to date as a community. Often these just don’t happen. We didn’t want that to happen to us. With the inspiration of improving every day came the question of how do we combine our ideas and thoughts so that we can all look at them and be transparent to our clients about where our thinking was taking us. We decided to use our blog service as a point of commonality as it was readily available to all, but re-branded as “Improving Every Day” as this was now (and is) our core value and motto. All blogs will now revolve around an aspect of improving every day to encourage and motivate us to engage with you, our client, with betterment in mind, and for you to read about our journey in improving every day.